Welcome to In Stitches, a place to buy or a place to sew (or knit, or crochet). Browse my pages to gain inspiration or sign up for a workshop; I cater for complete beginners to advanced dressmakers; spend a morning or a whole day, or an hour or two to finish off that project that’s been lurking at the back of the cupboard. I also provide an alterations and dressmaking service. More details here. Two happy bridesmaids in their pure white cotton dresses – a delight! I am located in Amersham, Buckinghamshire, 40 minutes from central London, at the end of the Metropolitan Line. I can also come to a venue of your choice if it’s within 30 miles of Amersham. Select the Workshops tab for details. You will also find many products for sale here. Visit my shop for the full range – everything is hand-made. 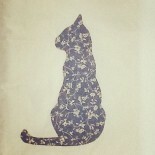 Bags, Kindle covers, phone cases, tea cosies, cushions and more. Products also made to order. And, if you don’t want to spend the money on buying something, come and learn how to make it instead. Everything I sell I can teach you to make.